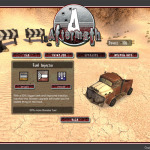 Set in the wastelands of a distant tomorrow, Aftermath is a post apocalyptic racer that pits you against a horde of enemy drivers in a race for death or glory. 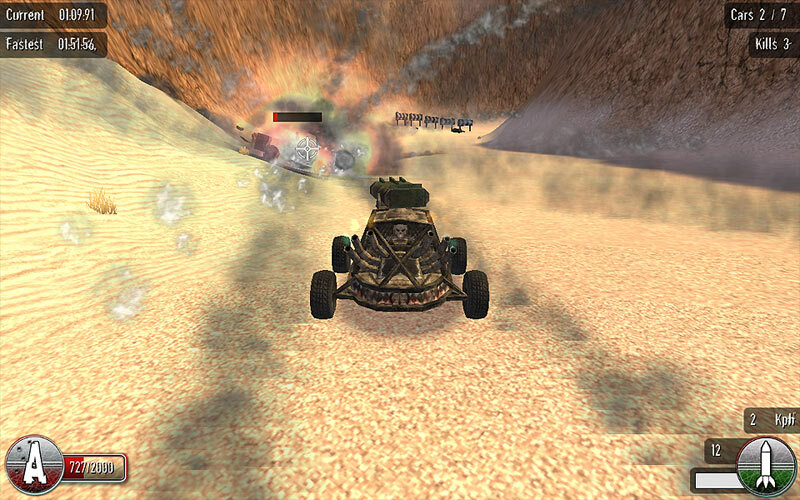 In the 1000 years since the end of the Last War, the world has become a cruel place. 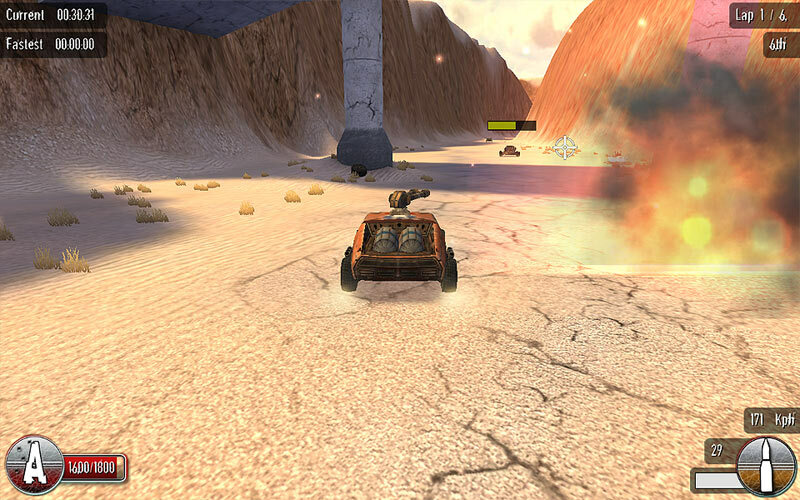 A place where lush rivers have become twisted wastelands, where thriving cities have turned to piles of ash and ruin, where murderous raiders run rampant on the landscape – a place filled with death and suffering. 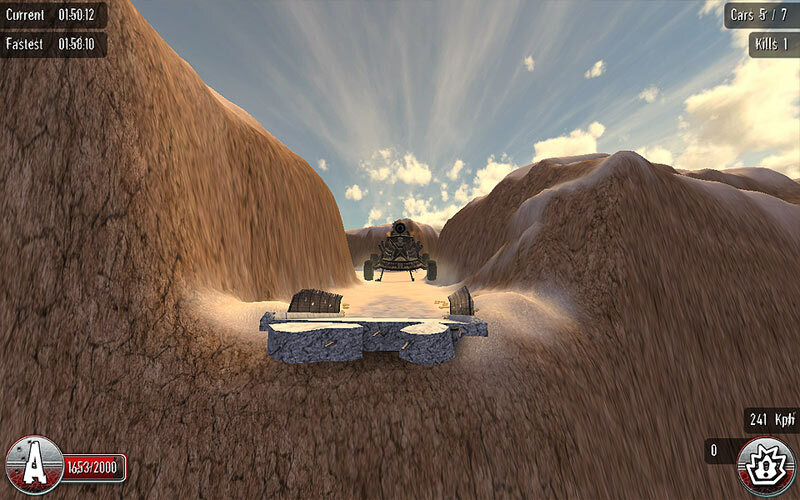 In this broken land all but the last traces of humanity have been swept away with the sands of time. 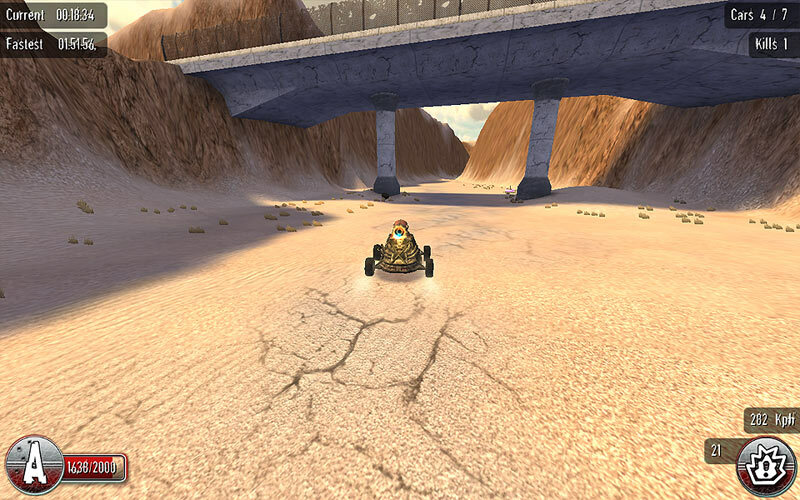 For those lucky few that still call this place home, racing has become their solace – their way of life. 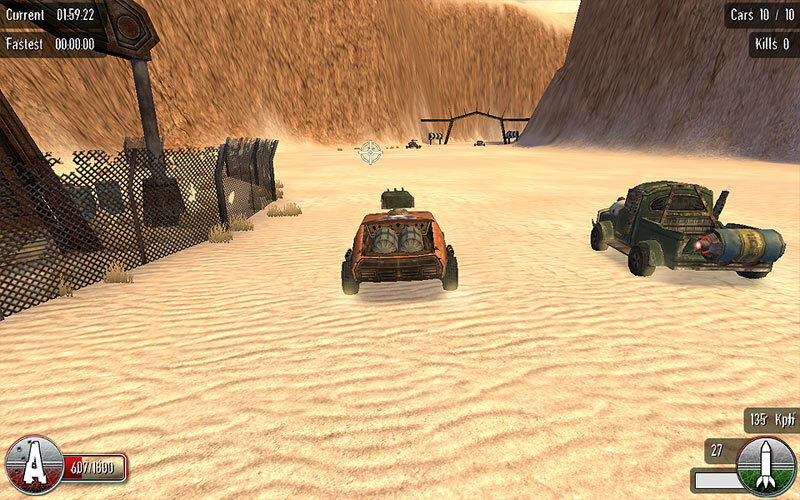 Competing in scavenged vehicles, and armed with a deadly weapons, these brave souls hope for one last moment of glory in a contest where it’s kill or be killed. 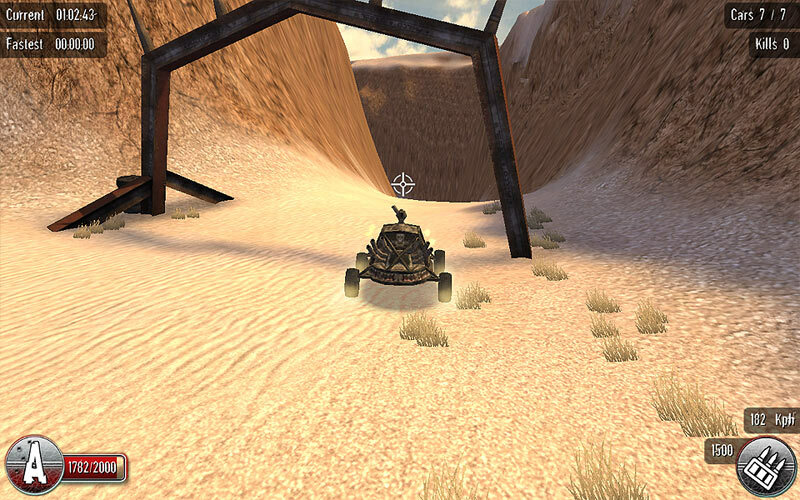 In this harsh vision of the future, none but the strong survive. 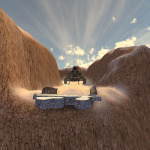 Will you be live to be victorious? 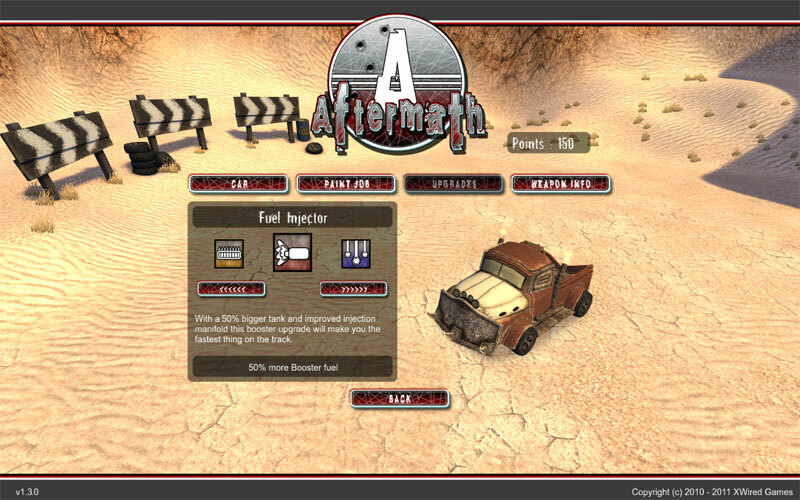 Or become just another victim of the Wasteland? 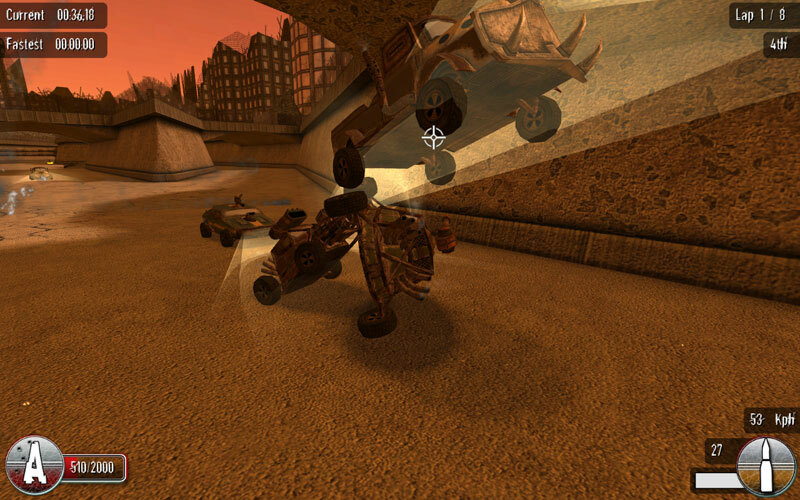 Race Mode – As close to a “normal” race as you’ll find in today’s world. 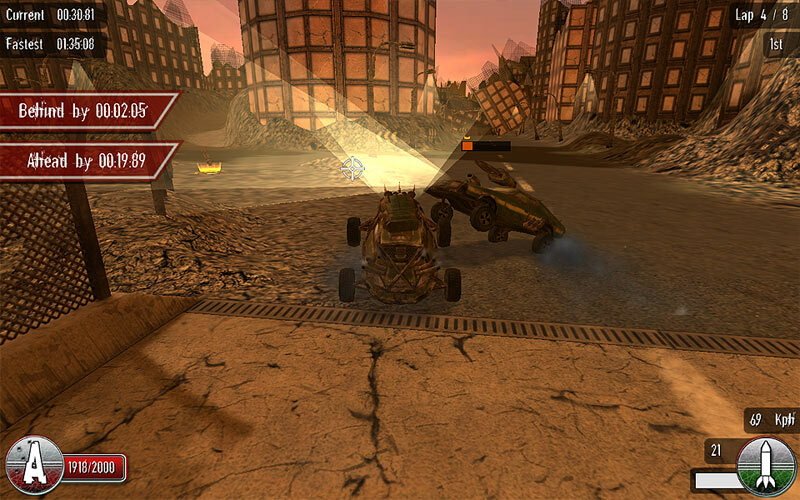 Filled with the finest drivers the wastes have to offer – this will be anything but a fair fight! 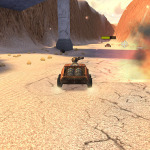 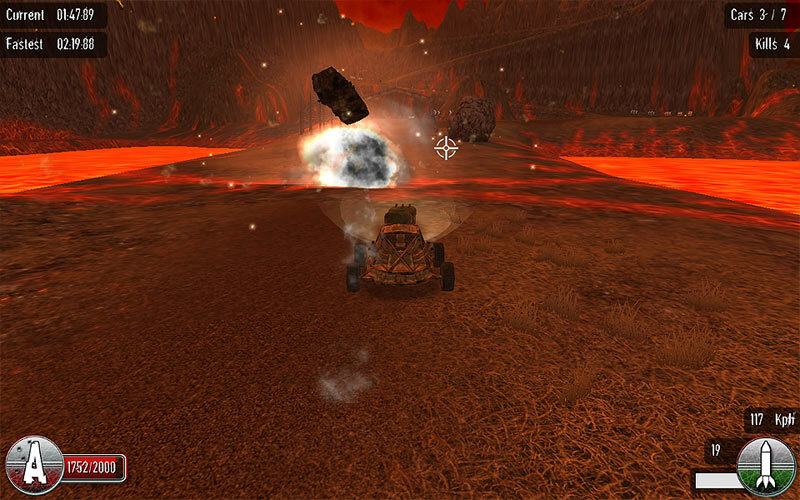 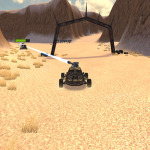 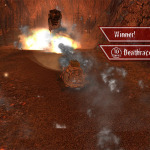 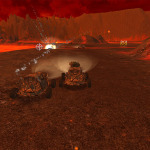 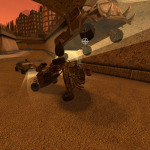 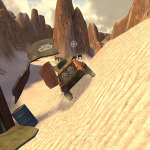 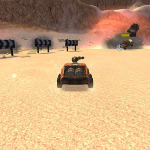 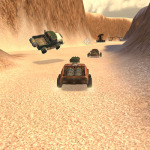 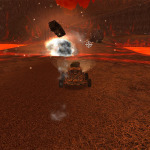 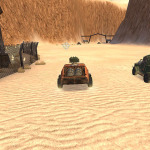 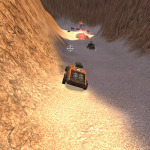 Deathrace Mode – In the brutal world of Deathracing there’s only one rule that matters – survival. 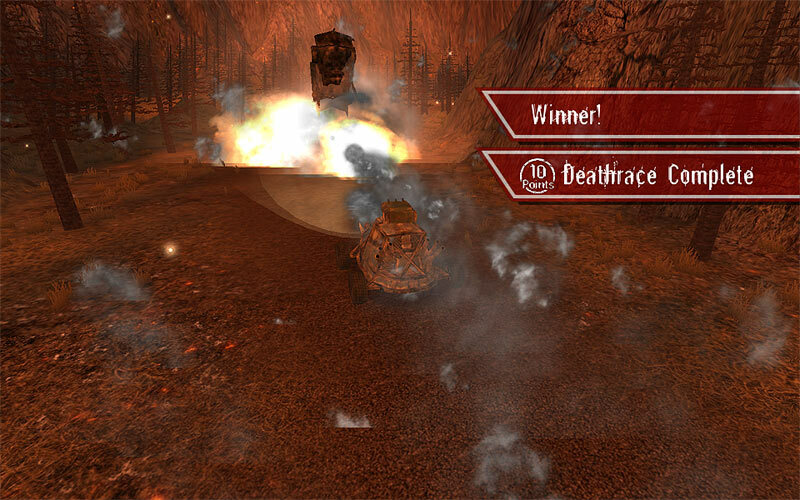 The last car alive wins the race. 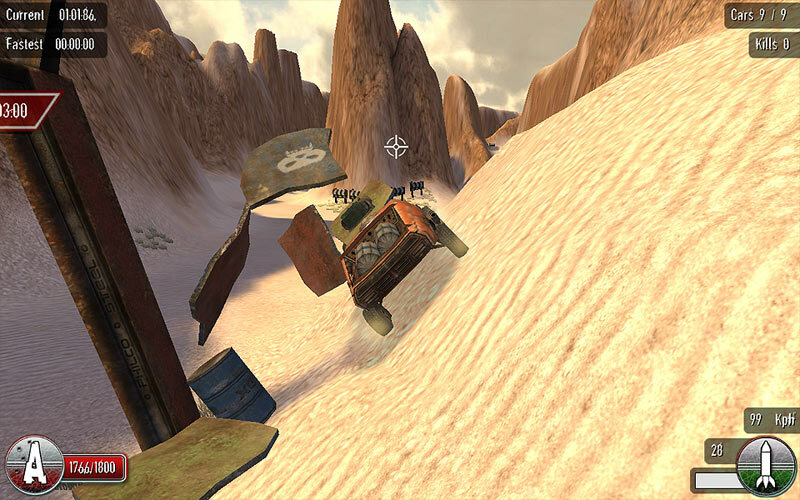 Sounds simple, right? 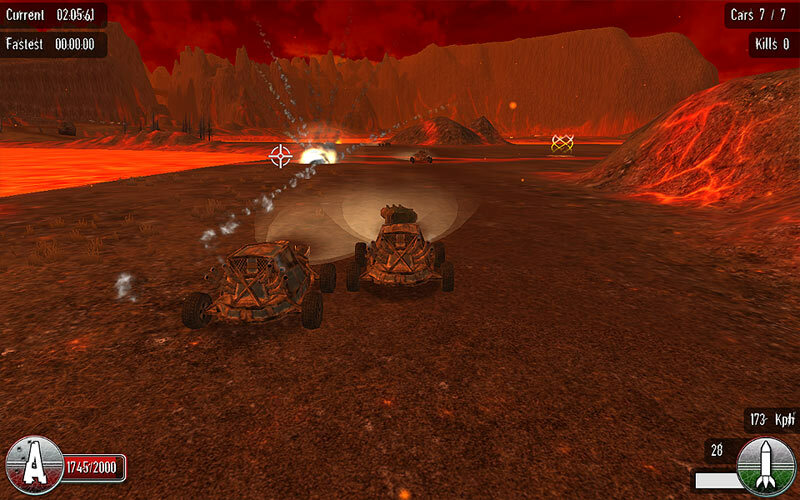 Survival Challenges – Originally used by drivers to sharpen their skills, Survival Challenges set you against an array of deadly turrets. 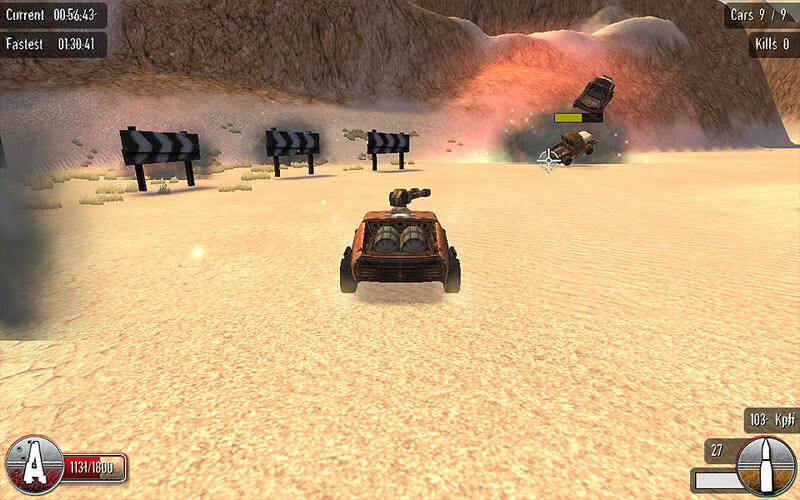 What better way to show them your made of! 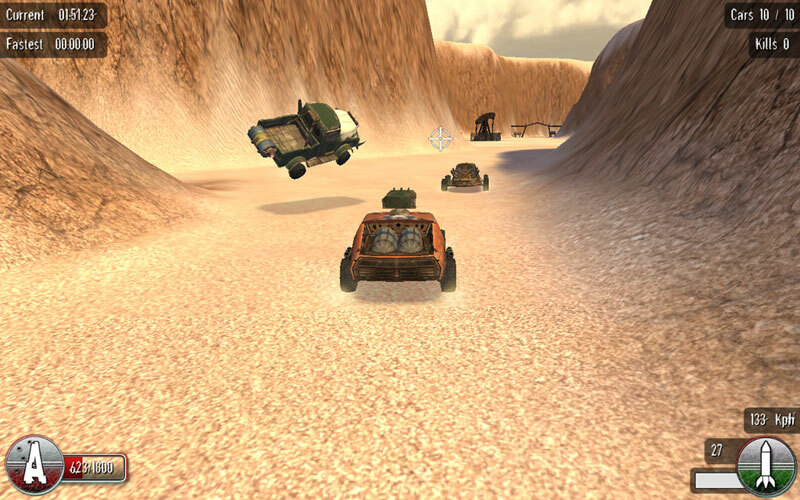 Vehicular Madness – Race as the fast and deadly Buggy, the heavily armored Pickup or monstrous V8 Warrior in over 20 different paint jobs. 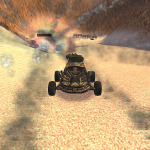 Deadly Combat – Pimp your ride with 6 different weapons and 9 vehicle upgrades designed to help you survive and punish your enemies. 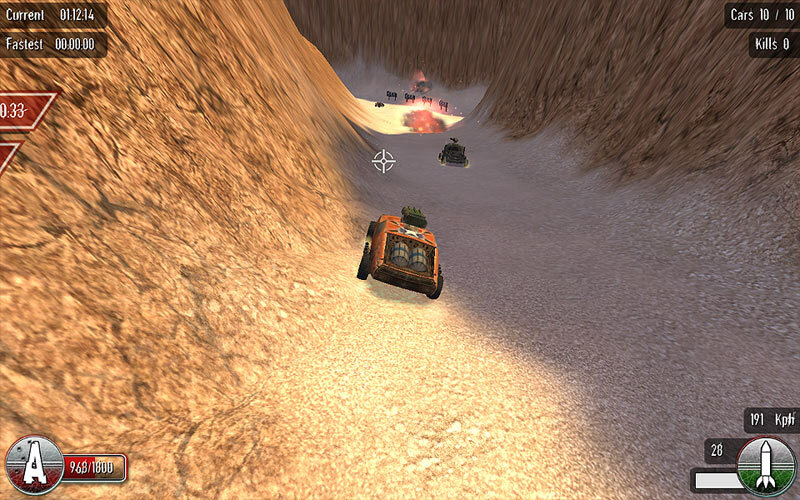 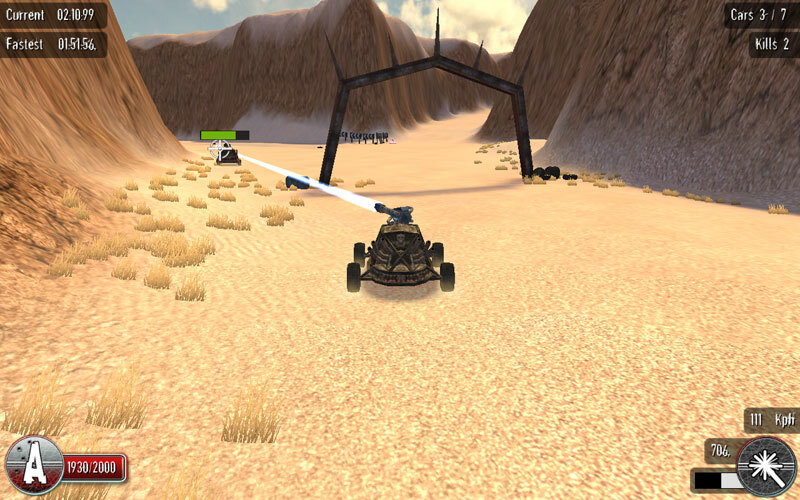 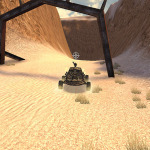 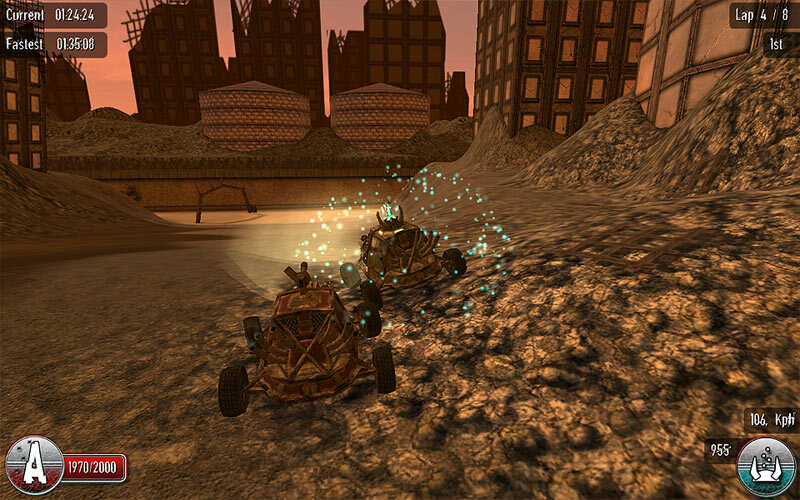 The Wastelands – Compete on tracks set in the hostile Desert Wastes, the abandoned City Ruins and the deadly Molten Hills. 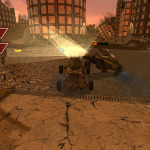 Super Weapons – Unleash your fury with these forgotten relics of the future, including the Sonic Gun and Orbital Strike. 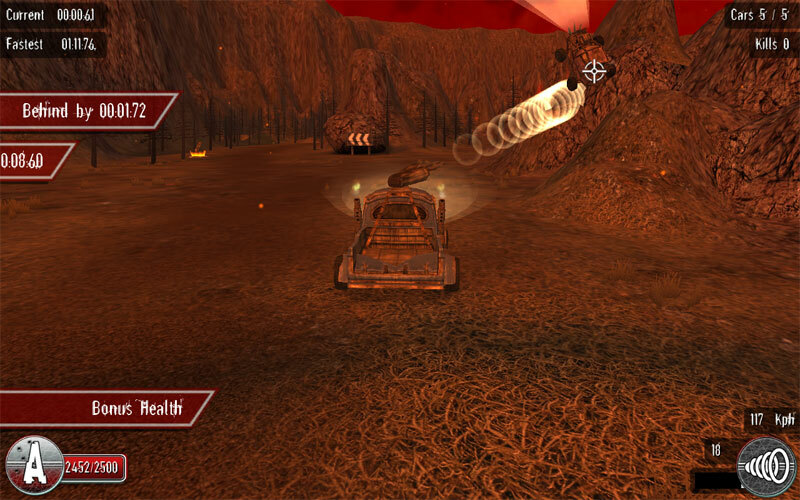 Over 100 Achievements – Test your skills to the extreme as your achievements unlock weapons, upgrades and more!